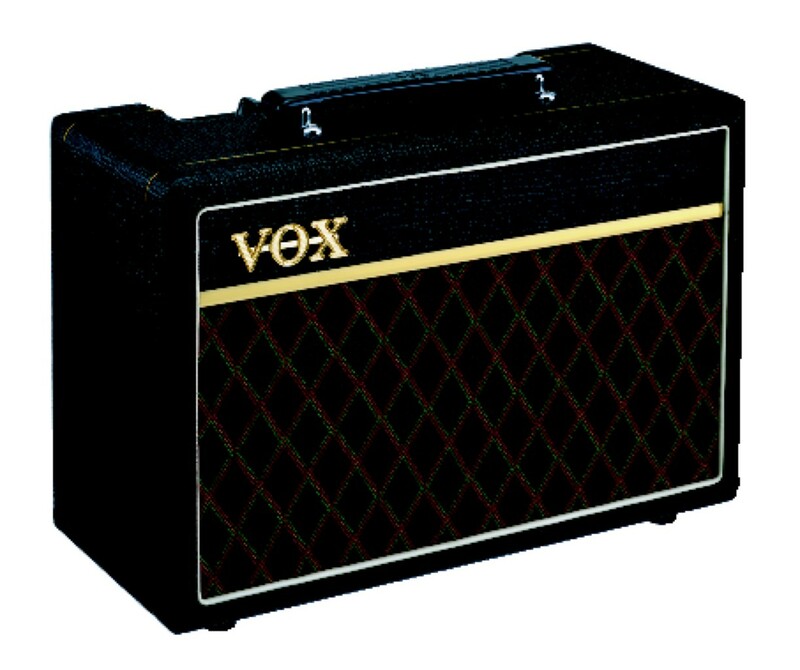 Solid state guitar amplifier with 10 watts of power, VOX Bulldog 6.5" speaker, clean/overdrive switch and headphone/line-out jack. This combo's eye-catching looks are also classic VOX and include basket-weave, leather-look vinyl, diamond grille cloth and 'chicken head' knobs. Those instantly recognizable, warm British sounds you've come to expect from VOX are alive and well in the compact, 10 watt Pathfinder 10 combo plus a high gain capability that's thoroughly modern. This combo's eye-catching looks are also classic VOX and include basket-weave, leather-look vinyl, our distinctive diamond grille cloth and 'chicken head' knobs! Small but all-important details such as Gold beading and white piping have also been faithfully reproduced, perfectly capturing the legendary look of VOX. It has clean/overdrive modes, headphone/line-out jack and Gain/Bass/Treble/Volume controls.